An estranged couple, Anna and Matthew, meet for the first time in four years. Their joint history is dredged to the surface in a way that threatens their futures as well as those of everyone around them. This world premiere psychological drama explores the options available to women and the ways in which we become our own worst enemies when we stray from the acceptable paths available to us. Click here to buy tickets and for more info! ​​I had a terrific time making my Broadway debut at The Golden Theatre this season, covering Lucas Hedges and Michael Cera for Kenneth Lonergan's "The Waverly Gallery," directed by Lila Neugebauer. It was a great company and a wonderful few months. I tagged in for Lucas one afternoon when he was nominated for a Golden Globe, and the entire experience alongside Joan Allen, David Cromer, and the incomparable Elaine May was unforgettable. Elaine May in "The Waverly Gallery." Photo by Brigitte Lacombe. With Natalie Gold, J. Smith-Cameron, and Mia Katigbak. Photo by Monique Carboni. 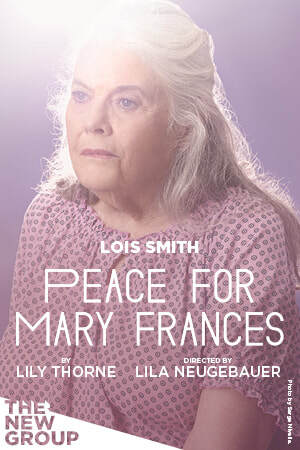 Next up, I'll be appearing with a tremendous cast in the New Group's world premiere of Lily Thorne's Peace for Mary Frances, directed by Lila Neugebauer. Click here for tickets and more info on the production. Now playing through Nov 12, 2017 at the New Ohio Theatre! The teens of Greenport, CT face a chaotic spring semester as they grapple with loyalty, lust, narcissism, and nihilism before hitting the most important night of their lives: prom. 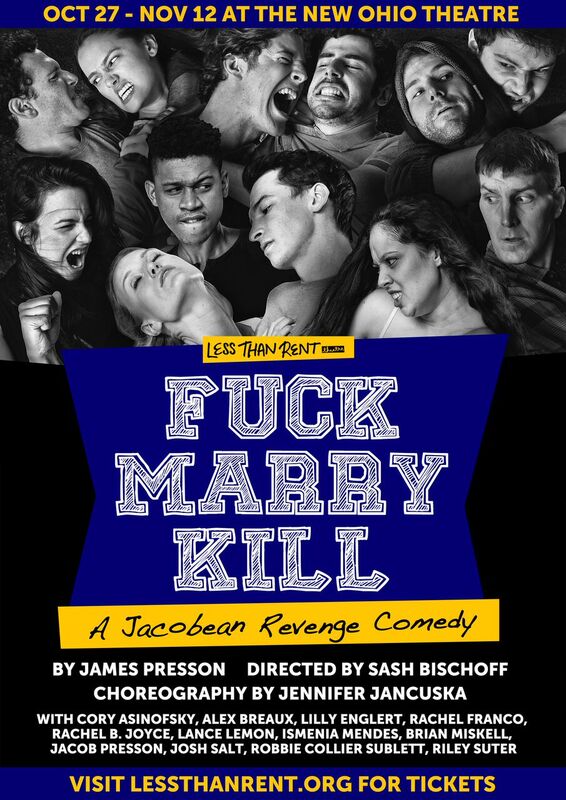 FMK mashes up the high drama of Jacobean theater and classic high school tropes into a fast-paced and highly stylized epic where secrets are spilled, backs are stabbed, and the survivors are left to count the dead and wonder how and why they got out alive. Click here to buy tickets and for more information! 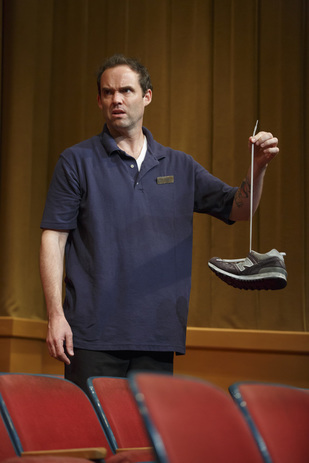 The Antipodes, at Signature Theatre Company directed by Lila Neugebauer! I had a blast narrating and acting in Chris Kipiniak's radio play "Sleep Some More" for Radiotopia's podcast "The Truth," produced by Jonathan Mitchell. Give it a listen! Just opened a show at the New Ohio Theatre, and we're off to a great start. ​Kiss It, Make It Better is a new play by Erika Phoebus and directed by Isaac Byrne, with their company Theatre for the People. Reviews are calling the show "touching, intimate," and a "delightful and authentic coming-of-age story." We run till June 18th, and you can get tickets at newohiotheatre.org. "With honesty, openness, and absolute fearless abandon...Miskell was positively splendid as the ADHD suffering Ty whose risky choices place him in dangerous company." 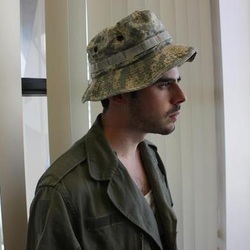 "The anchor of the play is Brian Miskell. As Ty, Miskell is a mess of boyish awkwardness and sputtering emotional volatility. You believe him as the winsome nerd mooning over his childhood best friend, while harboring a simmering resentment." ​Tomorrow, I'll be starting performances of Primary, a play by Gracie Gardner and directed by Alex Keegan, with the good folks at Sanguine Theatre Company producing. It's about Sailor Moon, a mom, and small town politics circa 1999. The play's funny, weird, and lovely, and I'm having a blast in it. We run April 6th-24th at IRT Theater. Come check it out! PRIMARY TEASER from Gracie Gardner on Vimeo. Well this was fun! Thanks BroadwayBox! ​"Brian Miskell, who garnered acclaim for his performances in off-Broadway's Afghanistan Zimbabwe America Kuwait, Undeniable Sound of Right Now and EightyThree Down, plays the duel roles of Skylar/The Dreaming Man in The Flick, an award-winning drama about employees who work at a local Massachusetts movie theatre; but unlike his Flick character, Miskell is not dozing off in the middle of a movie. No, it's pretty clear Miskell is an avid film lover the way he speaks so passionately about the five films that really rocked his world." 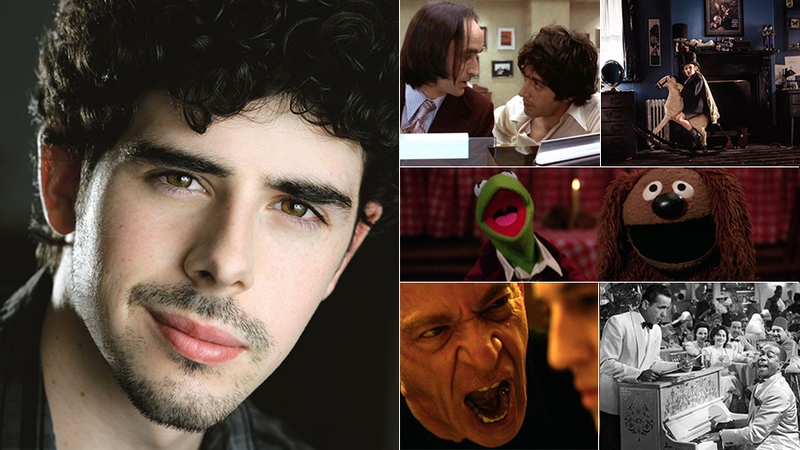 Welcome Danny Wolohan to the cast of The Flick!! Now running till January 10th 2016! Thrilled to be stepping in to join the cast of Annie Baker's Pulitzer Prize-winning The Flick, directed by Sam Gold at Barrow Street Theater. Click here for the press release or click here to buy tickets. One show closes and another begins. Started rehearsals for Daniel Talbott's devastating, wonderful war play: Afghanistan, Zimbabwe, America, Kuwait, a co-production with Rattlestick Playwrights Theater and piece by piece productions. Performances start May 21st at The Gym at Judson. Click here for the press release. And check back for more soon! In the not so distant future, two American soldiers wait at a worn-down outpost in the desert. Hot and bright. Hallucinatory hot. The world has been ravaged by war, its natural resources stripped, and it is no longer clear if there is an enemy left to fight or anything left to fight for. They wait. For orders, provisions, a sign of life. For rescue. Even for death. Daniel Talbott’s new play Afghanistan, Zimbabwe, America, Kuwait explores the inhumanity of war and the ways we seek connection in order to survive. We're off and running! Reviews and audiences have been great. More to come, but in the meantime check out our review in The New York Times, and come see our "superbly acted drama" at Rattlestick Playwrights Theater through May 2nd!! In rehearsals now for my next show: Laura Eason's beautiful play The Undeniable Sound of Right Now, a co-production of Rattlestick Playwrights Theater and the Women's Project Theater. Performances start March 19th, and I'm so excited to be working with Laura, along with director Kirsten Kelly, this incredible cast, and our peerless design team on Rattlestick's stage. It's 1992. Hank is struggling to keep his legendary rock club going amid changing times and changing tastes. When his daughter starts dating a rising star DJ, Hank must contend with the destructive power of the next big thing — The Undeniable Sound of Right Now. This month, I've been in development of a devised piece conceived by Knud Adams, as part of his newly formed lab "Mal Fet." 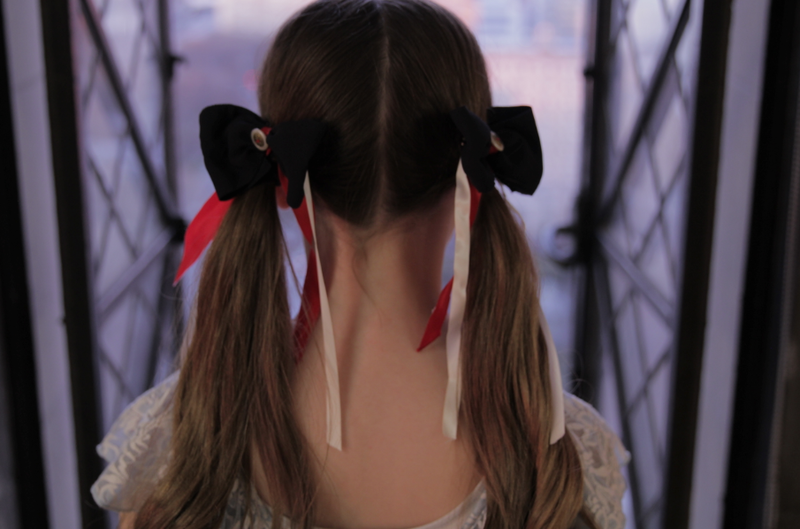 On Thursday, December 12th, we're presenting a work-in-progress showing. The process has been enormously exciting and challenging, as we take inspiration from several incredible films and performances, and I'm looking forward to sharing it with a small group on Thursday. Bedroom Eyes collages a few of the most iconic bedroom scenes in film history to create a new portrait of a legendary relationship. We explore how our expectations of love have been fed by the silver screen. "Miskell makes the most of a small but important role in Stay as a rich-kid college student who reveals his own scars." Don't miss Stay and the rest of Rattlestick's The Hill Town Plays by Lucy Thurber! Just started rehearsals for Rattlestick Playwrights Theater's production of Stay, directed by Gaye Taylor Upchurch. Stay is one of The Hill Town Plays, a five-play cycle by Lucy Thurber that Rattlestick is producing with a coalition of theaters across the village. Each of The Hill Town Plays investigates a pivotal stage of the main character's life, spanning from a childhood in rural Western Massachusetts, through college and coming to terms with her sexual identity, and onto adulthood as a successful author. The cycle is an examination of the culture of poverty in America; how we are always a part of where we come from, and yet our future is determined by who we choose to be. Stay is the final play in a quintet that begins with Scarcity (directed by Daniel Talbott), Ashville (directed by Karen Allen), Where We're Born (directed by Jackson Gay), and Killers and Other Family (directed by Caitriona McLaughlin), and the culmination of this incredible story. I'm thrilled to be making my off-Broadway debut and becoming a member of Actors' Equity on such a groundbreaking project. Years of hard work have finally paid off for Rachel, who now holds a coveted professorship and enjoys success as a published author. Her world is turned upside-down when her degenerate brother appears on her doorstep and a brilliant but troubled student unleashes chaos in her life. Click here for tickets and more information about our production of Stay. Click here for more information about the full cycle of The Hill Town Plays. Click here for the New York Times profile on the cycle. 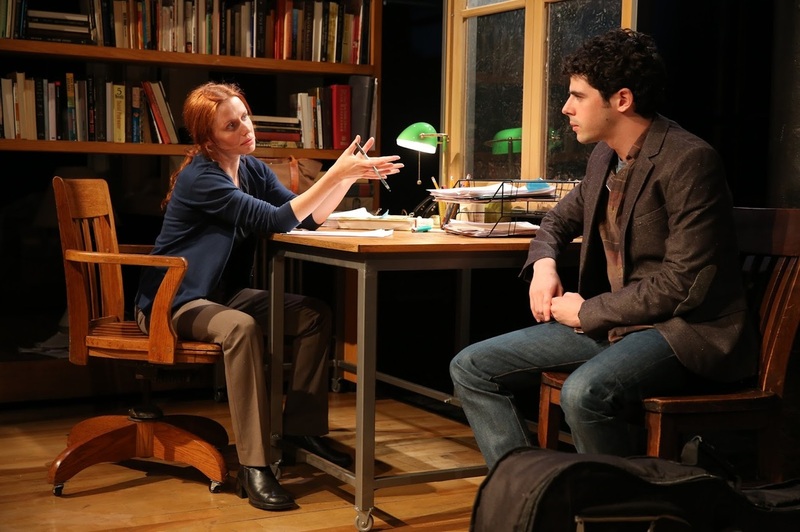 And click here for The Brooklyn Rail's interview with Lucy Thurber about the five plays. Click here to read the Washington Post review of this "pristinely acted production." Jimmy's No. 43 (43 East 7th St) is a great bar in the East Village with a really fantastic performance space. You can catch all kinds of exciting works in that room, notably some of the many productions by my friends and family of Rising Phoenix Rep. I'm excited to be acting in two different projects in the next two weeks there. First up, I'm playing Horatio in "Keep Calm and Carry On," a selection of six cuts from Hamlet, adapted and directed by Knud Adams. I'll be acting alongside the fantastic and multi-talented Kate Armstrong Ross, Patrick Barrett, Will Dagger, Nick Lerangis, Drew Lewis and Roxane Revon. It's a 45-minute event with music, dance, and stripped-down scenes. No adult characters. No costumes. No romance. No weeping. So buck up. Have a drink. And deal with it. "Keep Calm and Carry On" performances are on October 2nd and 3rd at 9:30pm. 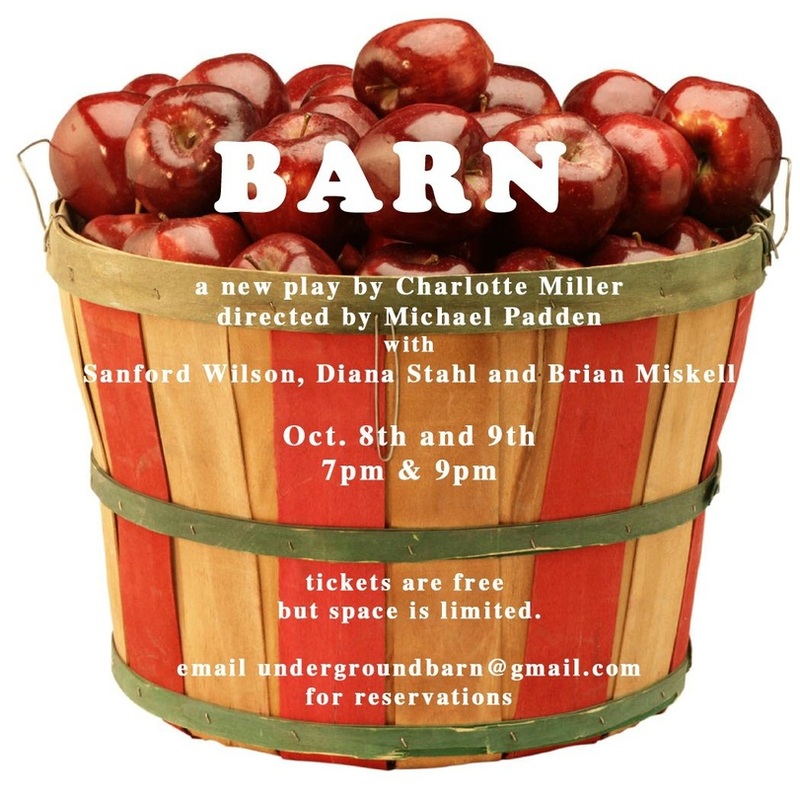 And after that, I'll be in BARN, a beautiful new play by Charlotte Miller, directed by Michael Padden. Can't wait to act alongside two of my favorite people (and fellow-literary associates at Rattlestick) - Sanford Wilson and Diana Stahl. Three friends retreat upstate for the weekend to rest and relax, but as the underpinnings of their friendships fly apart, they find themselves more wound up than when they arrived. There will be four performances of BARN. October 8th and October 9th at 7 and 9pm each night. Both shows are free, but space is limited. E-mail to reserve or get there early. Buy a beer or two. And have a blast at Jimmy's. Back in San Francisco, this time playing Pvt. Leadem in Encore Theatre Company and Rattlestick Playwrights Theater's workshop of Daniel Talbott's new play Afghanistan, Zimbabwe, America, Kuwait. I'm acting alongside Liam Callister, Jimmy Davis, Seth Numrich, Jelena Stupljanin, and Wendy vanden Heuvel. The workshop is being presented at A.C.T.’s new performance space, The Costume Shop, at 1117 Market Street. We're performing August 31st at 7pm and September 1st at 4pm. 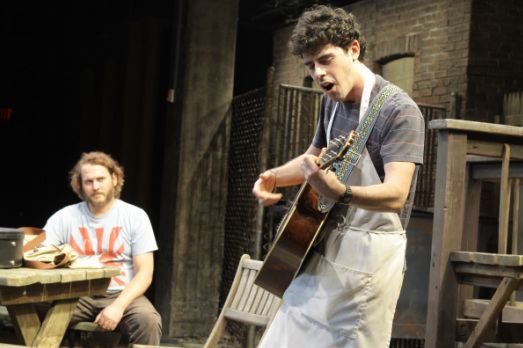 Click here for an interview with Daniel and the cast about this incredible play and process. The nominations for the 2012 New York Innovative Theatre Awards were announced last night, and Eightythree Down by J.Stephen Brantley received six nominations! Our entire cast was nominated individually and as an ensemble, and we're also nominated for Outstanding Premiere Production of a Play. 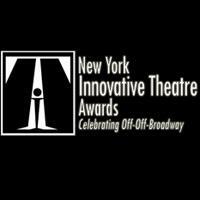 I'm thrilled to be nominated alongside my fantastic castmates, as well as some of the most exciting artists in the Off-Off Broadway community. I was extremely proud of Eightythree Down, and it's so gratifying to see it getting so much recognition! The Awards ceremony will be held on Monday, September 24th. 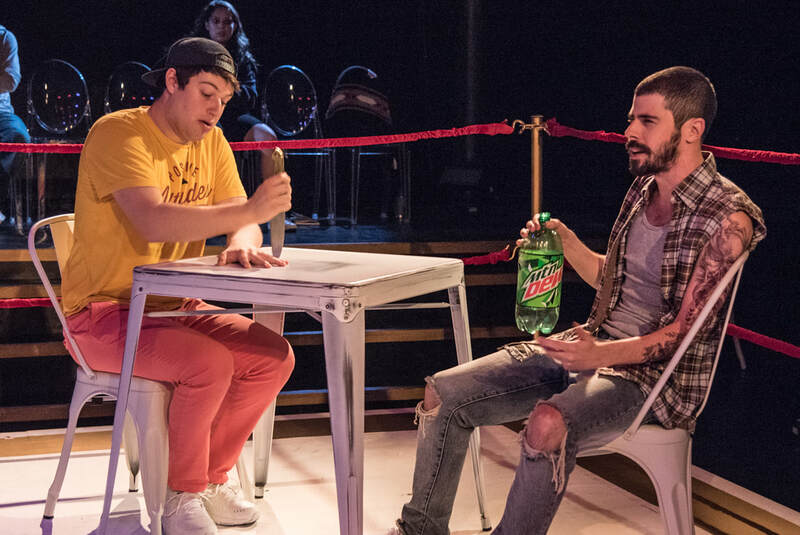 Click here for more information on the New York Innovative Theatre Awards, and click here for reviews and pictures from our production of Eightythree Down, directed by Daniel Talbott. Exciting event coming up: performing with Kathryn Erbe, Seth Numrich and Jelena Stupljanin in a series of new plays by J.Stephen Brantley, Crystal Skillman and Daniel Talbott. Great cast. Great playwrights. Site-specific theatre in Southampton. I can't wait. 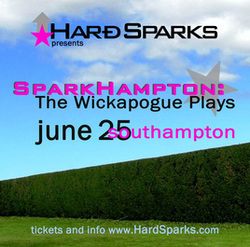 The Wickapogue Plays is the first in a new series of site-specific performances of original plays in the Hamptons. Three short plays by J.Stephen Brantley, Crystal Skillman, and Daniel Talbott performed by Kathyrn Erbe, Brian Miskell, Seth Numrich, and Jelena Stupljanin at a beautiful private residence in Southampton Village. June 25th at 7:30pm. $40 admission includes food and drink. Exact location to be revealed upon purchase. Very excited to work with Nora's Playhouse on their production of The Fallen, by Yasmine Beverly Rana, directed by Caroline Reddick Lawson. The Fallen gives breath to the haunting stories of the Bosnian War. Spanning twenty years, Yasmine Beverly Rana’s moving play reveals the lingering repercussions of the conflict while ricocheting from the rooftops of Sarajevo to the balconies of Turin and an art gallery in London. The Fallen will be performed July 18th through July 21st at the Jerry H. Labowitz Theatre for the Performing Arts. Just back to New York after finishing the fantastic run of the West Coast Premiere of The Aliens, by Annie Baker, directed by Lila Neugebauer. Thanks so much to everyone at the SF Playhouse for your incredible hospitality. And thank you San Francisco. Check out the press from the show here.